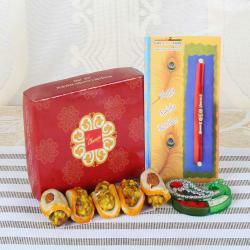 Now, there are huge collections of rakhis available on the online stores today. 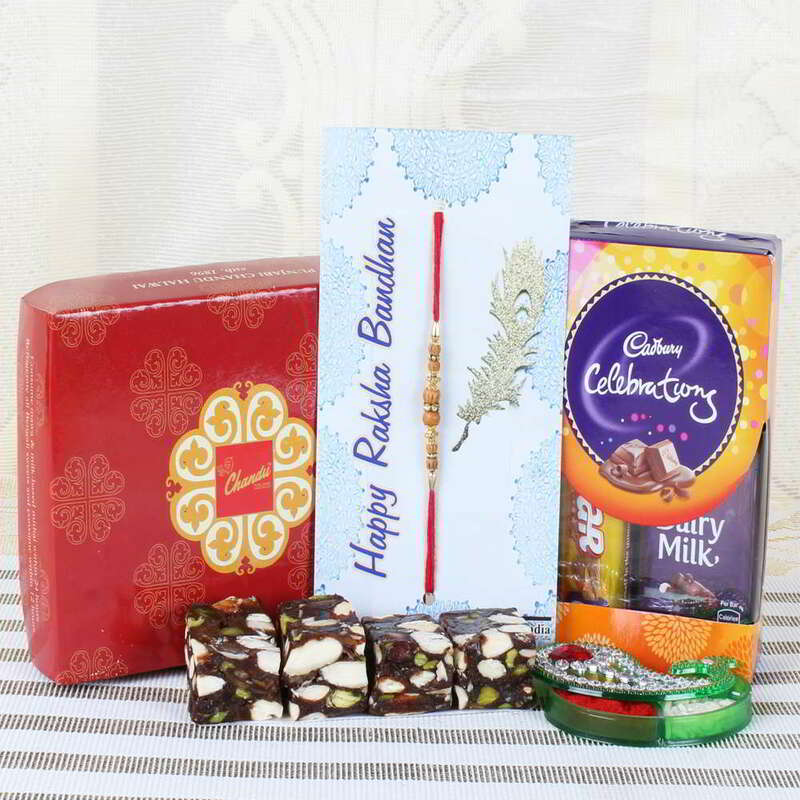 Select the best and cute one for your brother and send it through postal or by other options. 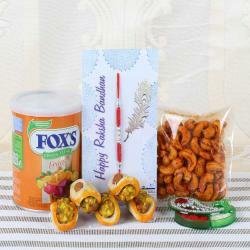 You can also send them the Memorable Yummy Rakhi Gift for Brother. 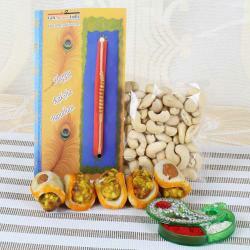 It is mingled with two beaded rakhis and come with roli and chawal. It comes with multicolored fabric work that gives an amazing look to the rakhi. You can make the festival more memorable and special forever with this combo and can also buy it at an affordable rate. You can also send it to him online if your brother lives abroad. 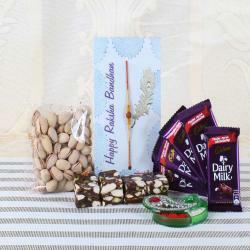 Product Consist: Dry Fruits Sweets (Weight: 200 gms), Stylish Wooden Beads Rakhi, Mini Cadbury Celebration Chocolate Pack (Weight: 63 gms) along with Roli Chawal Container.